In many ways, 12-year-old Braeden Lange comes across as a regular schoolkid, but when you learn more about his story, he’s anything but ordinary. 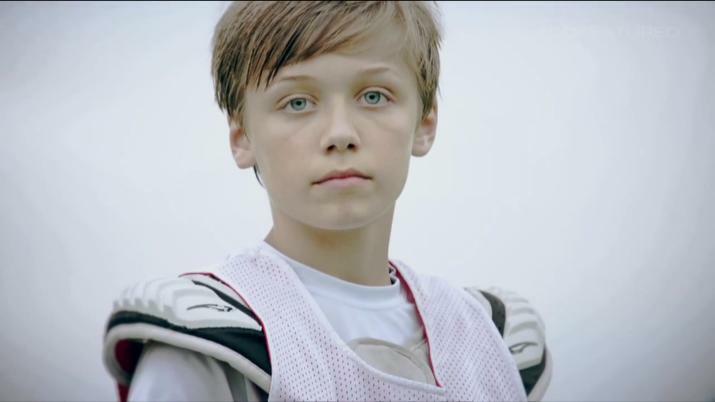 Earlier this year, the 7th-grade lacrosse talent from Philadelphia came out as gay to a group of his friends, facing the possibility of rejection, stigmatization and disapproval. For a month, he struggled, even contemplated suicide, but an idea from his father and a video from a hero soon changed his life. Braeden’s dad Scott reached out to Andrew Goldstein, a former professional lacrosse player who a decade ago was the first male professional athlete to come out. Andrew sent a video message and his professional helmet to Braeden to help raise his spirits, and later joined with Braeden to start the Courage Games, a lacrosse tournament to support other kids with similar stories. The project was the subject of a short documentary on ESPN. For Andrew, Braeden’s story marks a new era in which gay athletes can start to feel comfortable to come out and be who they are, and not fear the loss of their athletic careers. It wasn’t the same during his time. That wasn’t the end of Braeden’s crusade. He has since been invited to speak at the International House in Philadelphia, received the Ally of the Year Award at the Indigo Ball, and he spoke at the state capital on National Coming Out Day, and will be traveling with the U.S. National Men’s Lacrosse Team for games in 2016. He has also shifted his focus to the plight of LGBT homeless youth, and together with his mom Mandy, has opened up The Courage Home, a shelter to specifically serve this underprivileged community. To find out more about Braeden’s work, visit the site for The Courage Home!